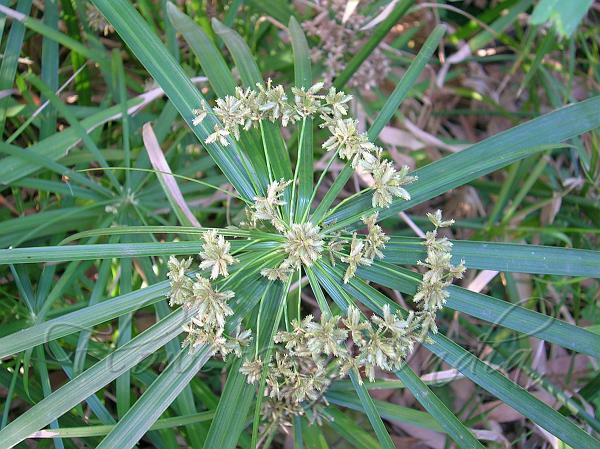 The Umbrella Palm, also known as Umbrella Plant and Umbrella Papyrus, is an excellent accent plant for ponds. Umbrella Palms have 24 to 72 inch high stems with thin blades arranged like an umbrella on the end. Umbrella Palms are one of the more versatile marginal water plants. Most marginals prefer water just over the pot. 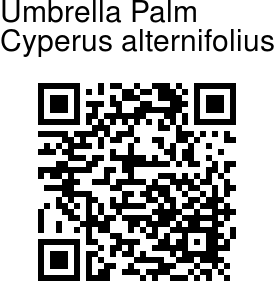 Umbrella Palms can be placed shallow or up to 2 feet under water. They are hardier than their cousin, Egyptian Papyrus, and almost as showy. Identification credit: Shaista Ahmad Photographed in Garden of Five Senses, Delhi.